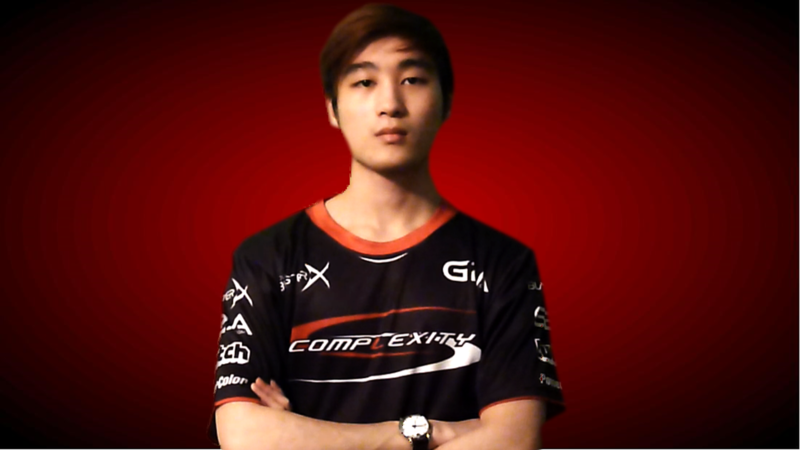 Hi, my name is Jordan aka TheJordude and I am a pro player currently playing for compLexity gaming. 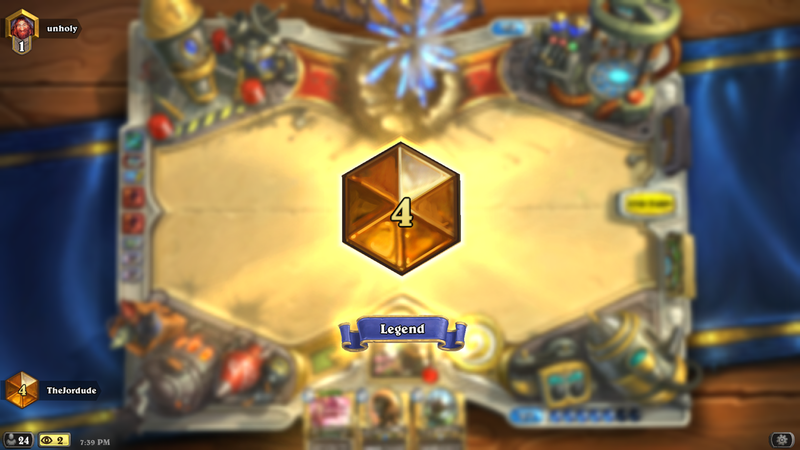 I recently hit legend (July 2015 season) with my interpretation of Midrange Hunter. I had a 100% win rate from rank 5 to legend (#4 currently) with this deck, climbing from 5 to legend within 3 days (school and work prevented me from playing all day). A lot of people will tell you that Hunter is the easiest deck to play. I am one to disagree as there are many decisions you have to make with this deck, and any hunter deck to be honest. - Try to be as efficient as possible. After say turn 3 or 4, really try to utilize your mana as efficiently as possible. Later in the game try to weave in your hero power every turn to maximize your damage and so you don't run out of steam so quickly. - Know when to be aggressive. After a certain point in the game, you want to transition your board control into aggression. This can happen anywhere from turn 4 onwards, depending on your situation and who you are against. Against other aggros you may want to keep controlling the board, or race them. Against midrange/control you may want to be aggressive because you know you are running out of steam and need to kill them soon. - Your power spike is from turns 2-6. If you can snowball your early game advantage and stay efficient, it is hard to lose. Webspinner over Abusive Sargent or Leper Gnome [/card] - Webspinner synergizes well with [card]Kill Command and Houndmaster. It can also get you amazing beasts like Savannah Highmane or Stranglethorn Tiger for later in the game or filling the curve better. You are playing for control, you don't have as fast of a game plan where you would play aggressive cards like Leper Gnome which doesn't provide you much in the longer run. Ironbeak Owl - There are so many targets to get a good silence you would be crazy not to run an owl. Unleash the Hounds - A lot of people cut 1 UTH. But I REALLY like 2, there are so many times where this card is very useful. Either for reach for lethal, dealing with a big board and comboing with Knife Juggler, getting value off Houndmaster. A lot of decks right now fills there board, which is why this card at 2 copies is good right now. Houndmaster - 2 copies are really good in my opinion because you will normally always get the battlecry off since you have so many beasts that are sticky enough to last. Piloted Shredder - An alternative turn 4 play when you can't play a battlecry Houndmaster. Very sticky minion that fits in all midrange decks. Explosive Trap - Good when there is a lot of aggro and would replace Snake Trap. I feel this card is a bit weak in this version of hunter though. 2nd Quick Shot - 2 is fine and replaces Snake Trap or 2nd Piloted Shredder. I don't like the 2nd one right now because it doesn't develop your board and is awkward when you have 2 in your hand. Normally depends on the draw, how efficient you are, and if you can gain early tempo. However if you're against face, you are unfavored. 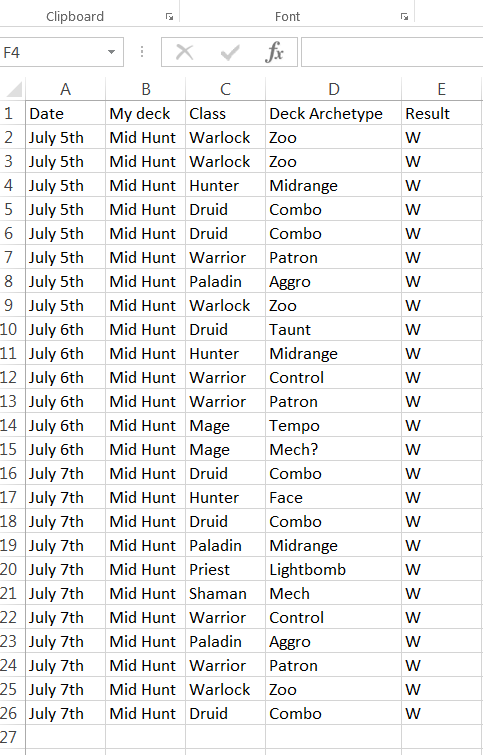 Midrange versions of Hunter are favoured against control. Patrons however will depend on how well you can get the control and apply enough pressure early in the game before they can draw a bunch of cards and combo you. If against tempo, the matchup really depends on the early game tempo swings and board control, like the Midrange hunter mirror. Against Freeze, it really depends if you get a good Loatheb turn as well as applying enough pressure early on. Against mech or midrange, I find you are favoured because you get good tempo swings, Shaman gets behind from overload, and they have no heal. Against aggro, Unleash the Hounds win you the game, get that and you are favoured. Against midrange you are favoured, again from good tempo swings and early board control. They have a much better chance when opening with a good curve from turn 1 or 2. Freezing Trap seems to really hurt Rogue. You can normally out tempo them and apply enough pressure and damage that they can't come back. All matchups are favoured either because you get early board control and pressure against slow Warlocks. Or against Zoo they build a big board and you win from a Knife Juggler, Unleash the Hounds. Your secrets are also important against warlock. You will normally out tempo the Druid and just pressure them with a strong board that they can't come back. They have to open up with Wild Growth or Innervate into a good curve to win. That's basically all I have to say for this deck. If you don't seem to find success for this deck for some reason do not give up. This deck does require some practice so that you can really fine tune your decision making. There are always quite a few options during a lot of your turns, so it may help to look back at your games to identify them and confirming which was the best. I also provide private coaching for anyone that prefer individual guidance to improve. If that is something you would be interested in just send me a private message here and we can go on from that. Have fun being a dirty Hunter and I'll see you on ladder! Ive been trying to figure out how to slot in Steamwheedle Sniper but it just doesn't work in most semi-aggro decks... Any thoughts? Maybe instead of a Knife Juggler? I never feel like I get good value from Juggler. But it is good bait. I main druid but it takes forever to get passed rank 5 because the games take so long, this deck is time efficient and good but definitely not that hard to beat. I swapped 1 belcher in for a hound master. Gonna give that a whirl. If you look under Optional Cards, he suggests that you can replace snake trap with Explosive Trap or second Quick Shot. But snake trap really seems to work because people assume explosive shot. On a side note, if the ladder is swarming with other Hunters or Mages, I replace the second Piloted Shredder with Kezan Mystic (i really like the card also). After how often Boom is BGHed by control opponents, leaving them with that critical turn to stabilize, I'm going to give this sub a try. "Let's Do This!" I'm a reletively new player and this deck has helped me get a lot better at playing hunter. +1 and Thanks for sharing! I replaced a Houndmaster for Feign Death and a Savannah Highmane for a Sylvanas Windrunner. I did this for personal preference..I might miss out on more from losing a potential taunt and maybe Kill Command opportunities but the combos from Feign Death are pretty fun with this build if you have 2+ minions out with deathrattle. Think this was a bad move? The reason I would disagree with you is that I don't think that the problem this deck has is a lack of win conditions. Gahz'rilla seems to have the role of "if they can't kill it right away, I win". However, the 2 Savannah Highmanes and Dr. Boom already provide that role. Rather, the Eaglehorn Bow is extraordinarily important at taking and maintaining board control, given that at the worst case it is 3 mana for 6 damage split among two enemy minions. This allows the hunter to control the board in the midgame, setting up for a turn where you can ideally drop an uncontested Highmane. Furthermore, the bow will often kill your opponent's 3 and 4 drops if you drop it on turn 3, meaning that your Piloted Shredder can also be uncontested, which is a huge deal. Jones works well. Question: is Webspinner outlawed? i know i'm noob for asking, but in MTG they outlaw good cards. I drew an Core Hound from Webspinner, so seems too powerful. is this question meant to be here? The original poster is right. I streaked from 14 to 8 in a little over an hour. Only loss was to a face Hunter who had a perfect draw. I didn't need to change one single card. I don't know whether it's the perfect curve or what, but the deck works as advertised for me. The Shredders give turn 4 the options it desparately needed. I'm doing great against everyone except other Hunters. 9 games and all lost! What do you think about substituting Leeroy for Loatheb for some fast damage instead of the more defensive approach offered by Loatheb's ability? Or Leeroy for BOOM--I have been facing (as is typical) lots of aggro from hunters, warriors, and even Warlock, and a few times I needed 7 or 8 more damage, would draw a Boom and be game over for me. 1. Gain tempo by playing a solid 5 drop while simultaneously blocking a turn where your opponent would want to play spells to contest your board. 2. Buy yourself one more turn to set up lethal by blocking your opponent from castings the spells that would finish you off. Furthermore, another reason for Loatheb being preferable in this deck is that it is a much more consistant card. Leeroy Jenkins can almost only be played on a turn where you are killing your opponent, but absent any great plays Loatheb is always a solid drop that will help you build a board.